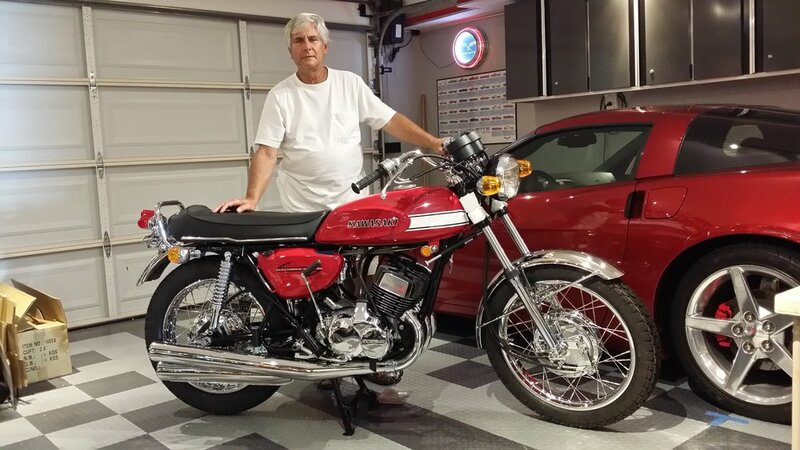 Ron Rogers is a master collision tech with over fifteen years worth of experience at Ferrari and a master restorer of vintage motorcycles for well over 30 years. His passion lies in 2-stroke Japanese bikes, cafe racers, and custom restorations. Vintage 2-strokes are a personal passion. Every bike is professionally inspected and thoroughly restored by a licensed master mechanic with decades of experience. Nothing is overlooked, and you can be confident that each component is properly and expertly serviced. Our fully restored bikes gleam and ride like they did in yesteryear. We can provide you custom work whether you need a partial restoration, performance upgrades or a complete cosmetic restoration. 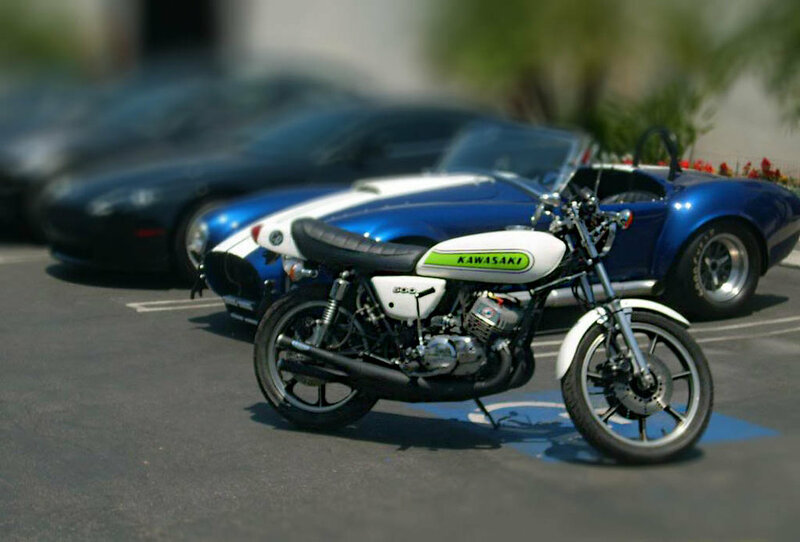 Ron's 1972 Kawasaki H2 750 custom restoration. 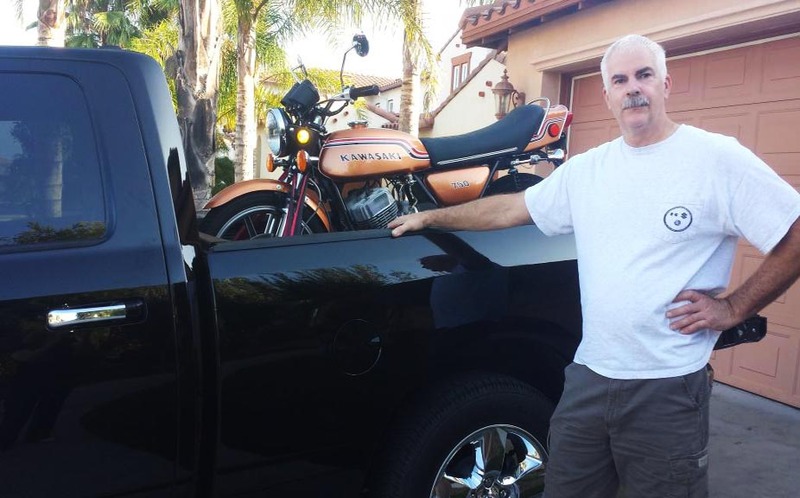 In 2008, Ron restored his first Kawasaki triple, a 75 H1 500. What started as a rusty basket case made it into Issue 22 of Cafe Racer Magazine. 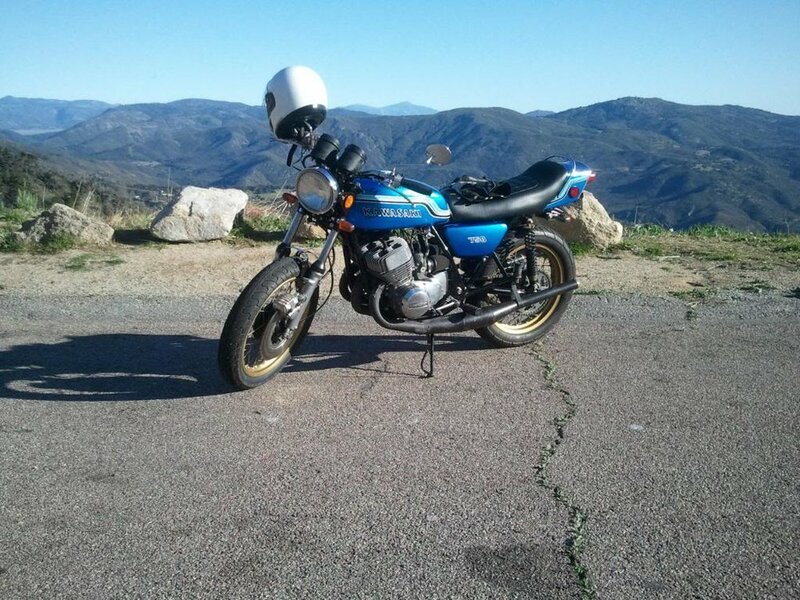 Ron's 1975 Kawasaki H1 500 restoration. From some of Ron's clients... more to come! Won the Carmel Mission Classic "Best of Show"
After acquiring a 1970 H1 500, stored in a barn for 30 years, I began my first restoration. 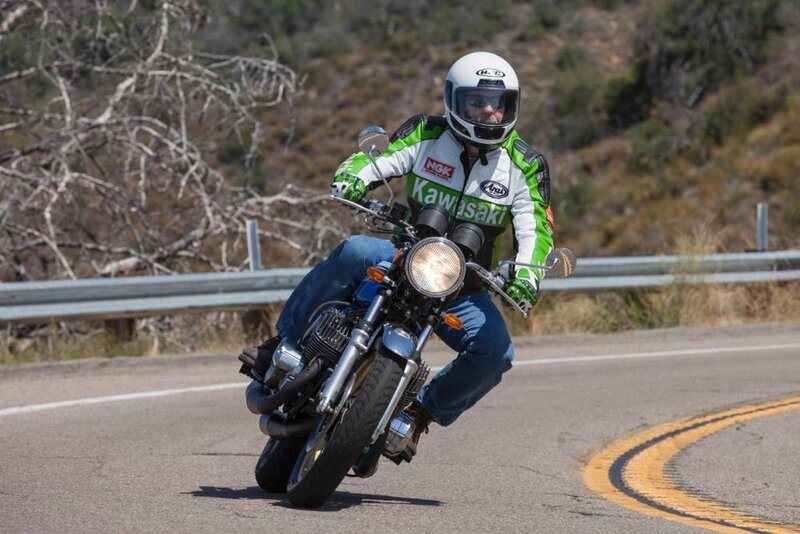 I made inquires regarding an engine builder having experience with the Kawasaki triples. Ron Rogers was referred to me by the guys at Z1- Parts as a premier motorcycle mechanic having passion for triples. After contacting Ron and discussing his experience and my expectations Ron gave me an overview of the basic work that might be done. I delivered the engine to his shop and he wasted no time getting into the disassembly and assessment. Ron gave me a very thorough assessment of the condition of the cylinders, crank and transmission prior to starting restoration. Restoring theses engines is not cheap by today's standers not to mention finding NOS and quality reproduction parts. Ron has access to quality resources and parts to assure a quality outcome. His experience lead to an improved clutch and its operation. After installing the engine in the bike, I delivered the bike and carbs to his shop where he rebuilt the carbs, installed them and setup the initial tune. Post project Ron has been very helpful with answering questions and providing solutions with problems in other areas of the restoration. I was very satisfied with the outcome of the finished product and cost. I will use Ron on any future projects. When I was only 5-years-old my grandfather, Irving Brown, sparked my obsession with motorcycles. I spent many Sunday afternoons in the garage learning and watching him work on old 2-stroke engines. Got my first mini-bike at 9-years-old and was hooked. 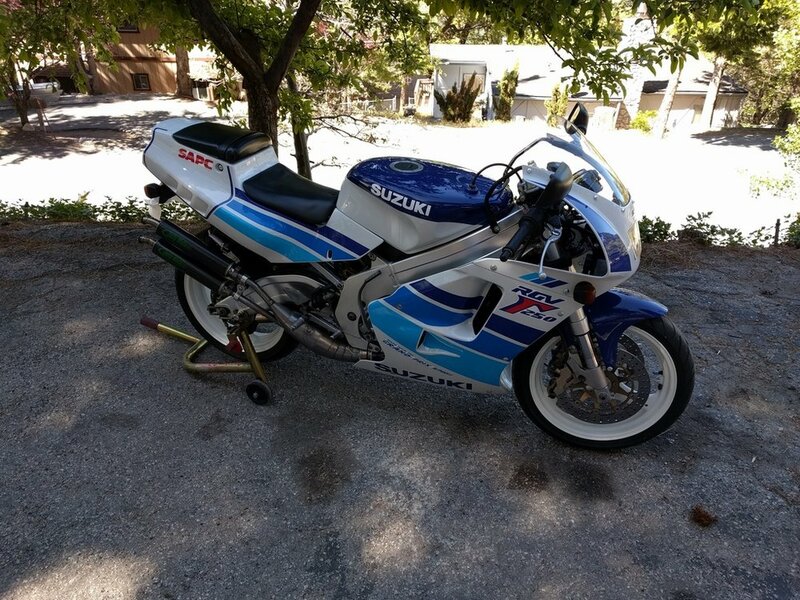 Once I got a Honda Z50 a few years later, I decided that if I was going to ride and own motorcycles, then I would learn how to repair them and keep them running. That was almost 50 years and over 30 motorcycles ago. Ron has been an automotive collision technician since 1981. He started working on Ferrari's in 2001 when he became a certified Ferrari collision repair tech. Below is an extensive repair Ron did for a Ferrari 458 Challenge. The Ferrari 458 Challenge before repairs. Damaged from being backed into a wall after the driver turned off the traction control. All the damage is cut off at the factory joints. There wasn't much left to start with. Close to $150,000 just in parts. Finally looking like a 458 again. Ferrari only allows 3mm from spec. Ron got all measurements within 1mm.